The book Jelly Beans for Sale by Bruce McMillan is an excellent companion for introducing counting money to children. In the book jelly beans are sold for 1 cent each. More and more jelly beans are sold together until 25 are sold. Then several different combinations of money are given to pay for the 25 jelly beans being purchased. Counting money is a fun skill for young children to work on. It's always a shock when they learn dimes are worth more than nickels, and they can trade 1 quarter and receive 25 pennies. This book is a great way to learn different ways to count to 25 with coins, and if you buy a bag a jelly beans to go with it, the activity would be hard to beat. My daughter and I recently got this book and the change container out. We separated the coins into four piles, pennies, nickels, dimes and quarters, then counted the money in each pile. Next we made piles of equivalent amounts, and followed up the activity with the story. There are lots more hands-on math activities on my Math Page, so be sure to visit. Week 6: We made a Greek God Family Tree mobile. Greek Mythology is the religion of the Ancient Greeks and they believed in many Gods. The gods often took on human traits, but could perform superhuman feats. My three kids all have very different knowledge bases for the Greek Gods, yet they all fully participated and learned from this activity. My 11 year old must have been Greek in a former life. She can tell me the names of Cronus's children, who was the father of Pan, and how Pandora was created in a single breath. My 9 year old son is slowly learning about the Gods, and my 5 year old has only heard a few names in passing. We used D'Aulaires' Book of Greek Myths to help with the family tree mobile as it contains a Greek God family tree. Then we simply wrote the name of the Gods on the index cards, and drew pictures of them. What I enjoyed most about this activity was the spontaneous retellings and discussions of the myths that occurred while the kids were coloring. D'Aulaires' Book of Greek Myths book is a great overview book. It explains who all the Gods are, how they are related and major events in their lives. The pictures are wonderful. I would recommend this book for third grade and up as a few of the stories are a bit scary. Tales of Ancient Greece (Enid Byton, Myths and Legends) by Enid Blyton is suitable for much younger children. I just finished reading it with my six year old. The stories are entertaining and easy to follow. Growing-up the gifts I received from my mother were always educational. Many of the gifts were also very crafty. She continues the tradition by giving educational and crafty gifts to her grandchildren, and I have followed in her footsteps. Here are some of my favorite gift ideas. They range in price from about $5 up to $75 or so, but most are and in the $15-$20 range. Perler Beads and Twisted Critters are crafty gifts for little ones. They can learn about the United States while doing a puzzle with the Talking USA puzzle. There are so many wonderful Educational Videos. The Letter Factory is a great one to get kids started reading. Who doesn't love books? 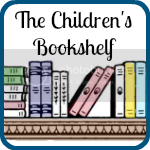 If you're having trouble deciding which one to get, the 20th Century Children's Book Treasury is packed full of many wonderful stories. There are many Sticky Mosaics by the Orb Factory to choose from. These crafty kits make a good gift for boys or girls. Kids can have a lot of fun gathering leaves and flowers to place in a Leaf Press. Uno or a regular deck of cards can provide hours of educational entertainment. are a magnetic building toy. Kids playing with these will quickly learn different flat patterns that become 3-dimensional shapes. What's Gnu is a learn to read game. A State Quarter Map can teach kids about money and geography at the same time, while developing a hobby that could last a lifetime. Speed! is a fun skip counting game which helps kids learn to multiply. Cribbage is a classic game which is fun and teaches kids strategy while they work on their addition skills. Bananagrams is a Scrabble like word game. The 26 Fairmount Avenue book series by Tomie DePaola is a wonderful chapter book series for this age. Kid's Paper Airplane Book by Ken Blackburn teaches kids how to make several different paper airplanes and suggests activities for the planes. Snap Circuits is an electrical kit with lots of activities. Kids learn about resisters, and capacitors while putting together circuits that do things like play music when hands are clapped. Wire Jewelry making supplies are a fun crafty activity that kids can explore. * Speed! is produced by Highhill Educational Supplies which is my company. ** I do not receive any compensation for any other product recommendations on this blog. 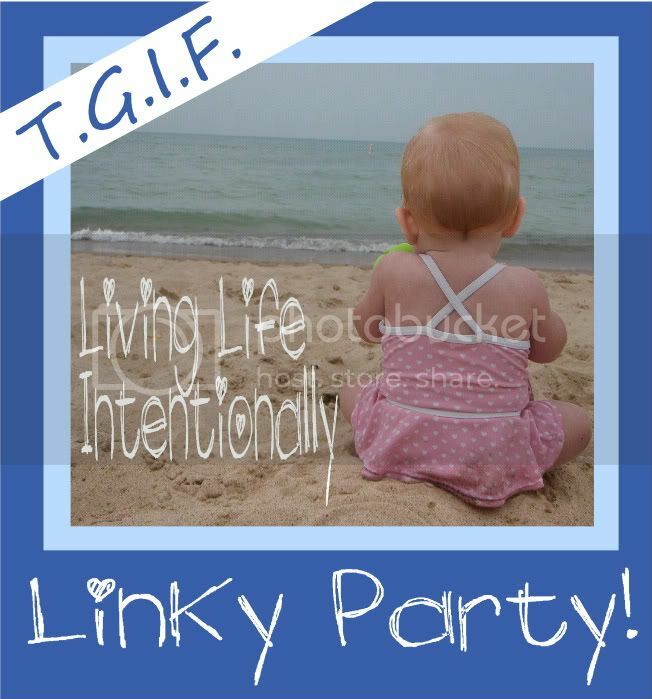 I'm just a homeschooling mom who has found many products that I like. If you're interested in the products I recommend on this blog I want to make it easy for you to find them. *** I am an amazon associate and receive a small portion of the sales on orders made after clicking in from this site, which I promptly spend on homeschooling books and supplies for my children. 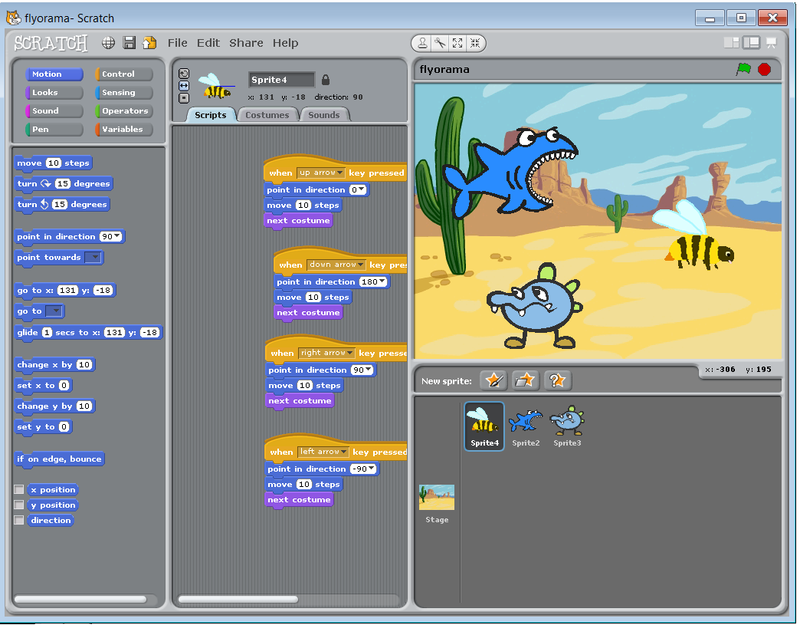 Scratch is a great tool for kids to learn the basics of computer programming. It is a free programming language developed to teach kids these skills. The tool itself is fun to play with, but I recently discovered a series of youtube videos that are teaching my kids how to use it. I asked them to watch this 10 minute video on Scratch Basics and then open the tool and play around. What they came up with is amazing. In Fly-O-Rama the player sees if the shark can catch the bee. The shark moves when the q key is pressed. The bee moves when the arrow keys are pressed and the space bar, m and b make the characters talk. 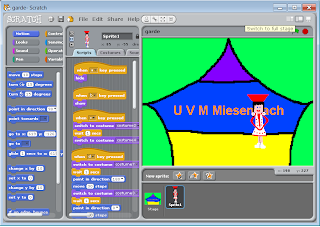 This program is an animation of a dancer in action. The following keyboard keys control the dancer. 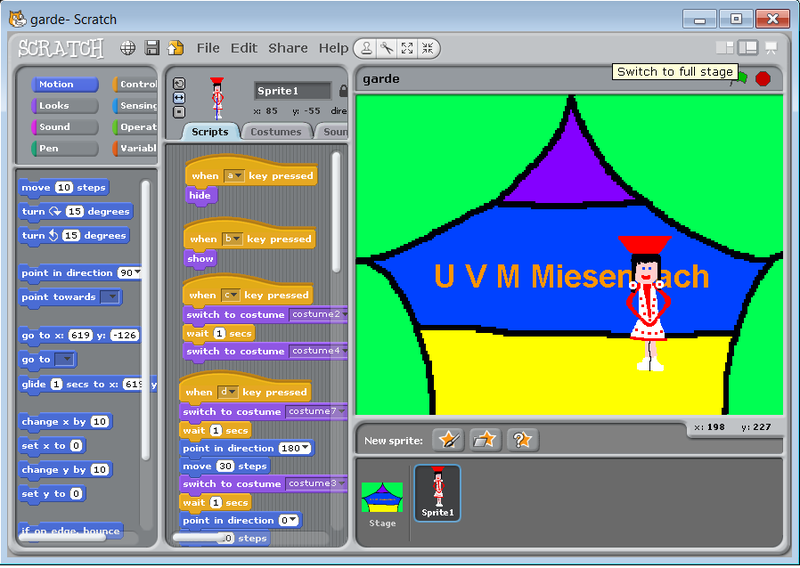 To see these programs go to the Scratch website. 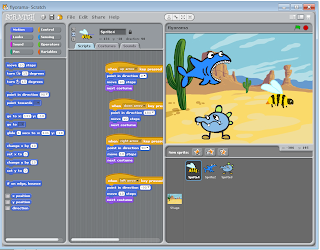 Scratch is great for future scientists and engineers, but can be enjoyed by lots of children. To create programs kids unknowingly practice many math skills such as coordinate systems and degrees in a circle. When they see their working completed programs they are so proud. I'm very impressed with this free tool. Week 5: We made movies of the Trojan War. The ancient city of Troy was believed to be a myth until one day it was discovered. All of a sudden Homer's Iliad had much more meaning. Was there really a war? Was it fought over Helen, the most beautiful woman in the world? Was there really a Trojan horse? Those questions may never be completely answered, but now we know there was a city of Troy. In fact there were nine cities built on top of one another. The city of Troy was collecting tolls on ships that wished to pass into the Black Sea. Since the Greeks wished to trade and sail the waters, the toll fees would not have been welcomed. Perhaps the Trojan War was fought over Helen? Perhaps the Greeks fought the Trojans to prevent further taxation? Maybe both were reasons for the war. The kids watched The Truth about Troy to learn about Troy and the Trojan war. We read these books to learn about the Trojan War. The Iliad for Boys and Girls by Alfred J Church - My 11 year old read this book on her own. The Trojan Horse by Hutton - My 9 year old read this book on his own. Stories from the Iliad by Jeanie Lang - I read this free book on the Heritage History website with my son. Then we created this movie. After the kids built the scenes. I took pictures and loaded them into a video editing program. The kids decided which images to use, added background music and text. This project actually took several days as the kids did the majority of the video editing on their own. Did you know being grateful can actually make you happier? This is an area that needs some attention in our house. My children are smart, well behaved, and talented. Unfortunately they are not very grateful for what they have. They complain a lot and so do I. One of the best ways to teach gratitude is by modeling gratitude. So, that's where I think the problem lies. With Thanks Giving right around the corner, I plan to spend the week working with my kids to be more thankful. We are going to begin by asking ourselves what it means to be grateful and end with some activities to help us move in that direction. Day 1: Writing assignment - What does it mean to be grateful? Writing assignment - Why were the pilgrims thankful? Day 3: Writing Assignment - Pretend you were a child living in a past civilization. (Greeks, Scythians, Celts, Vikings). What would you be thankful for? Day 4: Writing Assignment - Make a list of the people who help you. For each one write about how they help you. Day 5: Writing Assignment - What are you grateful for? 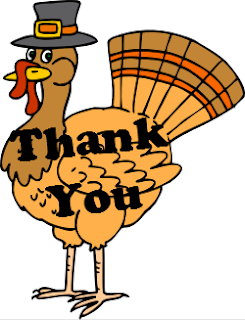 Day 6: Writing Assignment - How can you show gratitude? This activity is still in my head, but I'm thinking we will make a 3D turkey and stick in rolled up paper tail feathers. On each of the feathers we will write someone's name and something that we are grateful to that person for. Then we will remove one feather and read what it says at each family meal. - Keep a Family Gratitude Journal - This would be a notebook kept in a common area where any member of the family could write down things they are thankful for. The new entries will be read at meal times. - Make Grateful Jars - Make one jar for each person. Fill the jar with small notes about reasons to be thankful for that person. Then read one note each meal time. Who Homeschools? 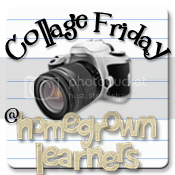 is a regular feature on the Hammock Tracks Home School blog. Interviews with homeschooling families provide insight into why and how families homeschool. 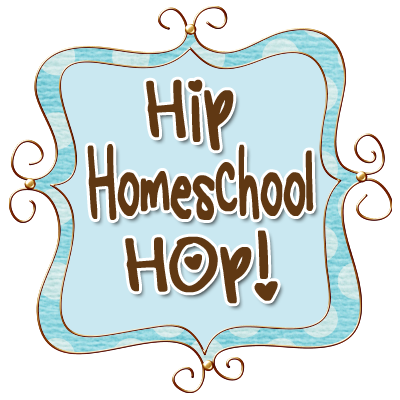 I was recently asked to take part in Who Homeschools? Participants write-up answers to several questions listed below. 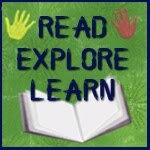 Visit Hammock Tracks to see why others homeschool. ● How did you end up deciding to teach your children at home? Have they always been home schooled or did they attend school outside the home, at one point? My son has always been home with me, but my five year old attended a German pre-school for three years. We moved to Germany when she was 2.5 and I wanted to get involved with the community. The pre-school was excellent. There were only two classrooms which each contained children from 2-6 years old. 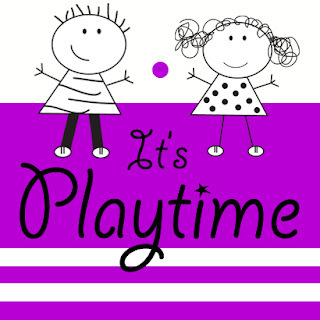 The kids had lots of time for free play. My daughter learned to speak German fluently, made friends with the neighborhood kids, played lots of memory, drew pictures and learned some new songs. She would still be attending the preschool this year if she hadn’t been diagnosed with Leukemia in June. ● Summarize how you reached this decision. When I was in elementary school my parents sent me to the open classroom which was different from public school. The classrooms contained mixed age children, the kids sat at tables, were free to move about the room, called the teachers by their first names and worked at their own ability level. Since my own education was far from mainstream, I think I sought something a bit different for my own children. While exploring different educational options I met a woman who became a good friend. She homeschooled her four children. Through watching her I saw many benefits to homeschooling. I began reading books and was convinced it was the right decision for us. Once I had my husband’s support we began. ● What is your goal in home educating your children? I want the best possible education for my children. ● Do your children have extra curricular activities? If so, what are they? Yes many, though we have stopped attending some temporarily due to my daughter’s Leukemia I will list them all; Dance, piano, violin, tennis, homeschool history co-op, homeschool park days, and community gym class. ● Have you ever hired someone to teach a subject to your children? If so, why? Yes – piano and violin. I taught my daughter piano until she passed beyond my ability. I know nothing about the violin and have too many other current responsibilities to learn. I thought a knowledgeable teacher would be much better. ● Have you graduated a child? Do you plan to teach through high school? My oldest is in 6th grade. Yes, we plan to homeschool through high school. ● Do you have a defined style of instruction such as Classical, Montessori, unschooling, or Charlotte Mason? Are you willing to share how you decided to use this method? Cathy Duffy’s book had a list of questions to help parents understand the homeschooling method(s) they prefer. I lean toward Charlotte Mason, but don’t use the method exclusively. I like the living book, foreign language, and music study aspects of the philosophy. The kids are learning to speak German and Spanish through living materials and interactions with native speakers. 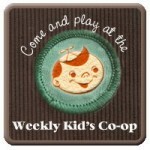 In our homeschool we play games, do lots of hands-on projects and read many books. ● What does your schedule look like? Do you start early and finish just after lunch? Or do you start later in the day? Do you teach through the summer? And if so, why? The kids have work they do on their own and work they do with me. They begin as soon as they wake up. We are usually done by early afternoon. We do not homeschool in the summer. I need a break! Since my youngest was diagnosed with Leukemia this summer our schedule has changed a bit this year. I currently spend five days in the hospital out of every two weeks. The two older kids have been forced to work more independently. Ironically, it is working very well. I usually send them emails with assignments. They have been watching history videos on youtube and creating computer programs using Scratch. They read a lot on their own and work through their math problems while I’m away. When I get back they show me what they have done and we focus on reading, math, writing and projects we do together. ● Do you home school for religious reasons? If so what religion are you? ● Do you have a vision statement for your home school? If so, what is it? ● If you were to recommend a book(s) to a new or prospective home school parent, what would you choose? ● What was your number one concern or worry when you started out on this endeavor? Has it continued to be your main issue? Why has it changed? I wanted to make sure my kids had friends. It is no longer a big concern. The kids don’t have an excessive amount of friends, but they have several very close friends. Living in a military community where people tend to move every three years complicates this issue a bit, but I have figured out how to deal with it. We just attend many extra-curricular activities which provide the kids opportunities to make new friends. ● What aspect of home schooling do you enjoy the most? What part do you greatly dislike? It’s really hard to pick just one aspect that I enjoy. I love to see the kids progress and conquer new concepts. Living temporarily in Europe we have seen many historical sites. I like the freedom to design my own curriculum. The kids get along and play well together. There aren’t too many aspects I dislike, but homeschooling can be all consuming and overwhelming. I spend a lot of time planning activities and researching resources. After household duties and lesson planning is finished, there is often little time left for play. ● Are/Were there any subjects that you felt incapable of adequately teaching? Have you overcome this? If so can you explain how you have achieved this? Science has been a challenge from the start. I spend a lot of time developing curriculum and activities. ● Is there anything that you would like others to know about your home schooling? My husband took a temporary job in Germany so we could experience living in a foreign country and see Europe. On a side note… Homeschooling is illegal in Germany. We are protected under SOFA – Status of Forces Agreement. It is an agreement between the American and German government which protects our rights to homeschool. Taking the job was an excellent decision. We have been here three years, done a lot of traveling and would like to remain here several more. So much learning happens through travel, and when travel can be connected with subjects of study the impact lasts a lifetime. For example, we studied the ancient Olympics and we visited Olympia, Greece. My kids will never forget the stadium. If you ever have an opportunity to live overseas I would highly recommend taking it! Week 6: We made DNA. Our DNA contains all the instructions for creating us. Just like a cookbook contains directions for many different dishes, our DNA contains directions for all of our parts. It contains instructions for creating skin, hair, heart, kidney and other kinds of cells. From hair color, to ear shape, to whether or not we will have pointy toes; the directions are included in our DNA. DNA is made up of building blocks called genes. Each gene contains a sugar and a phosphate as well as one of four types of base molecules; adenine, guanine, cytosine and thymine. We are continuing to follow chapter 1 in The Way We Work by David Macaulay to learn about cells. First the kids selected a large bead color to represent their sugar molecules, and a smaller bead color to represent their phosphate molecules. Their sugar and phosphate molecules were strung onto a pipe cleaner to create the DNA backbone. Next they selected four different color beads to represent the adenine, guanine, cytosine and thymine, and sewed the beads onto their backbones. A base molecule was sewed onto each sugar molecule for the first pipe cleaner. At this point, the base color didn't matter. In other words, they could sew any of the four colors onto each sugar molecule. The base color for the second pipe cleaner was determined by the bases which were attached to the first backbone. Adenine must pair up with thymine and guanine must pair up with cytosine. They laid out the required beads and sewed them on to the second pipe cleaner. Then they sewed them together to complete their short DNA strands. Week 4: The lost city of Atlantis. Everyone believed the ancient cities of Troy and Mycenae were just myths until one day they were discovered. Could Atlantis also have been a real place? It was the subject of our history co-op this week. If it was real, it most likely disappeared from a tsunami which occurred in connection with the devastating eruption of the volcano of Thera. Thera's eruption caused a tsunami which nearly wiped out the Minoan civilization and led to its downfall. Much worse than the holiday tsunami of 2004 it would have led to destruction of many coastal villages and cities. First we watched this youtube video of scientists and archaeologists searching for Atlantis in southern Spain. Then we built a simple volcano. A paper cup was wrapped in aluminum foil to create the volcano. Two tablespoons of baking soda and three drops of red and yellow food coloring were placed in the cup. Then a cup of vinegar was added to the cup and KABOOM! The volcano was placed in the bathtub because the earthquake which caused it to erupt also caused the tsunami. The volcano was conveniently constructed on top of a plastic container which was used to simulate the tsunami. Here's a short video of the tsunami. The DK reader Atlantis, The Lost City is a simple book good for elementary aged kids. The book gives a nice background and goes well with this activity.